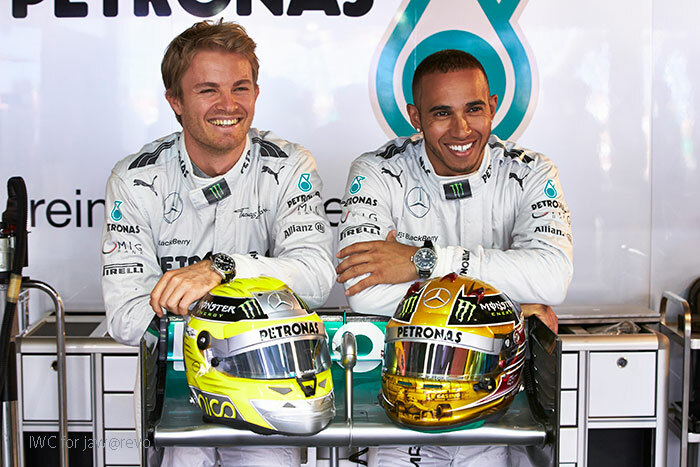 Lewis Hamilton & Nico Rosberg Appointed New IWC Ambassador, A Closer Association with Mercedes AMG Petronas F1 Team. The association between IWC and Mercedes AMG is almost a decade long, but the scale and importance of the relationship weren’t obvious until the Mercedes AMG Petronas F1 team was made the official engineering partner of the famous Schaffhausen watch brand this year. For those who were mesmerised by the excitement of the amazingly lifelike F1 pit in the form of SIHH IWC booth this January 2013, the bigger news is the appointment of their star pilots Lewis Hamilton and Nico Rosberg as the brand’s official Ambassadors. 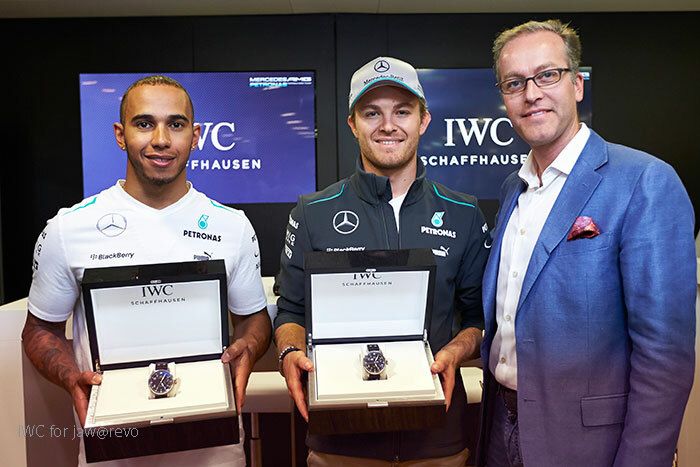 New High Profile IWC Ambassadors Lewis Hamilton and Nico Rosberg. The two star F1 Pilots were proudly introduced yesterday (25th March 2013) by IWC’s International Marketing Director Goris Verburg in Monte Carlo appropriately, during the Grand Prix Monaco. While Lewis Hamilton’s association with the watch world is well known, more significant was Nico Rosberg’s early present given by his father years ago, it was specifically an IWC watch! Nico said that’s when his love affairs with watches started and “From that moment on I was hooked, especially on watches by IWC”: Nico further commented that “Becoming a Friend of the Brand is like being reunited with an old acquaintance”. Now IWC fans not only can enjoy their favourite watches, but the adrenaline of the Formula 1!